The new 5-star hotel – Domina Prestige – recently opened in the centre of St. Petersburg. The team of Andy Fiord Fashion Advertising imagined the fairy concept of its first advertising campaign and produced the shooting. 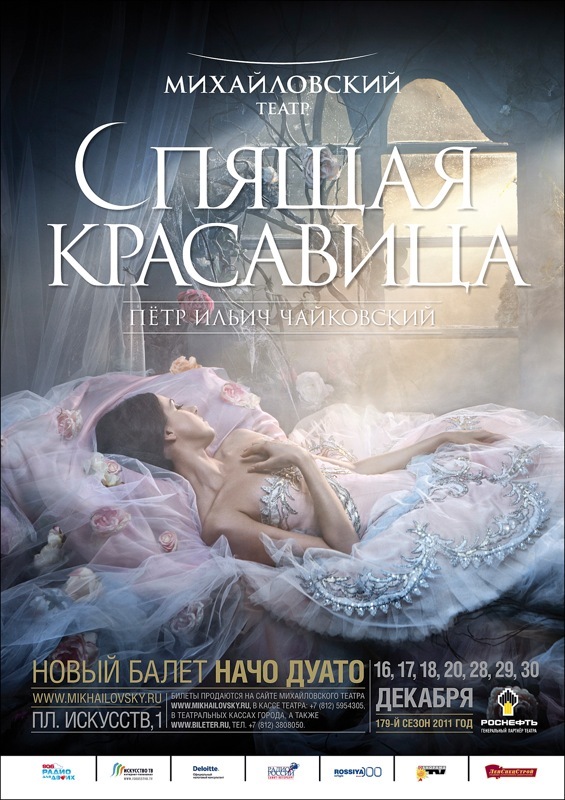 Petr Titarenko captured Irina Perren for the playbill of “The Sleeping Beauty” – the new ballet performance created by Nacho Duato for Mikhailovsky Theatre. The shooting was produced by Andy Fiord Photo & Film Production.